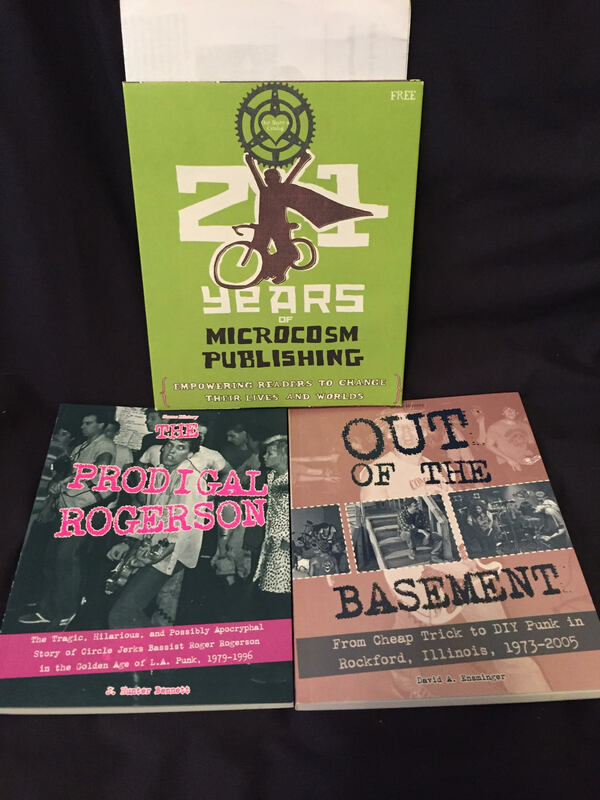 Microcosm Publishing out of Portland is a solid base of DIY spirit in the North West. For a mere sliding scale of $10-30 a month you can get books, T shirts and personal stories that will connect you to your scene and beyond. It’s like a Cliff Notes version of an in depth ‘zine article. 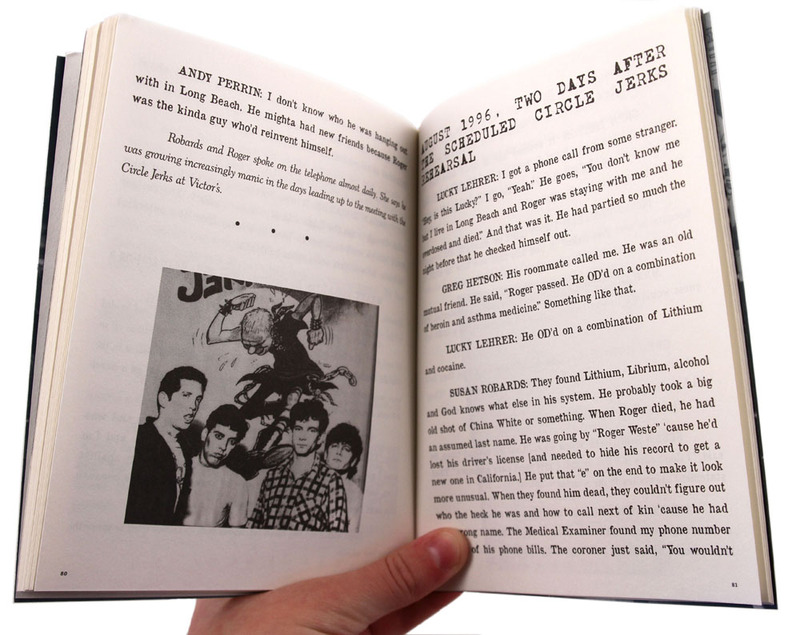 Giving a solid base of the Circle Jerks history and some background information on Roger before launching into the rest of his life recounted by former bandmates, friends, girlfriends and wives, before wrapping up with a good Where Are They Now section. 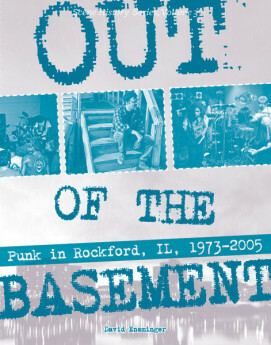 At 93 pages, this read is a quick, sometimes funny, sometimes sad look at a founding member of one of the major bands of the second wave of punk rock. Final summation: Roger was a classically trained guitarist, amateur life fabricator and professional mess. Unbeknownst to me, my good friends at AngryYoungandPoor.Com recommended this book on their Instagram the day after I finished reading it… so extra street cred. More like the English punk scene born of a boom to bust economy opposed to the majority of the American punks that felt a responsibility to fight back against Reagan, Capitalism, and yuppie scum. I think when most people think of Mid-Western punk, Hüsker Dü and any plethora of Chicago bands come to mind, but there was so much more. That’s what this book showcases in a short 95 pages. I feel their pain. Coming from Lancaster which is an hour and change from Philly and about 1-2 hrs to DC/Baltimore and same to NYC… we’re a small town with great bands and just kind of viewed as a small show venue on the way to another big gig. It’s hard to find an identity (especially when the closest success was Live) but we’re fiercely proud of OUR scene… and that was what spoke to me. It was a great read exploring the ups and downs of a small town and their struggles and successes. Bricks is a big bearded beauty. He's truly adorable. He and Justin decided years ago that combining the two of them would make the perfect bear, Adam's handsome grizzle and Justin's burly chubby physique. But I digress... Bricks like good music, good beer, and good people. He's a founding member of York Beard & Mustache Club and it shows in his exquisite facial hair.